The Volunteer Sahana Japan Team publicly launches disaster relief information site at http://sahana.jp on May 31, 2011 to register requests for assistance and information intended for use by local government and volunteer organizations that are taking part in the response and recovery efforts. 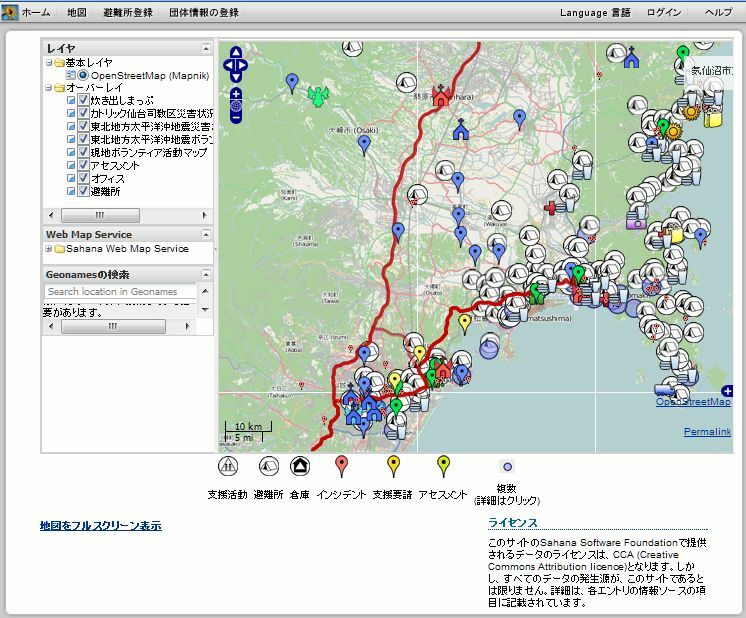 The site includes information on the location of shelters, volunteer activities, soup kitchens, and organizations, and is supported by a team of volunteer developers in Japan, the Sahana Software Foundation and the Sahana Eden project. Hosting is being donated by IBM Japan’s cloud hosting services. hi, what is the function of the volunteer?